Look at the core of just about any digital marketing campaign and you’re going to see social media as the dominating focus. Social media is where brands go to meet their audience, and it’s marketing power is only limited by the energy businesses are willing to invest. The tricky thing about social media is it’s always fluctuating. For example, according to Pew research, the number of younger users has remained fairly consistent, but the number of people age 50+ that are using social media has continued to grow. There are also shifts among the networks themselves, with pretty fierce battles for who’s ranking next after Facebook and YouTube. Speaking of YouTube, let’s stop for a second and talk about its success. YouTube reports an active monthly user base of 1.5 billion, coming in at just a bit less than Facebook. We can learn something from YouTube’s success, and that’s people of all demographics love video. Video is the perfect vehicle for building your brand on social media. Here’s what makes it so powerful. It’s understandable if you’re unsure about video marketing. 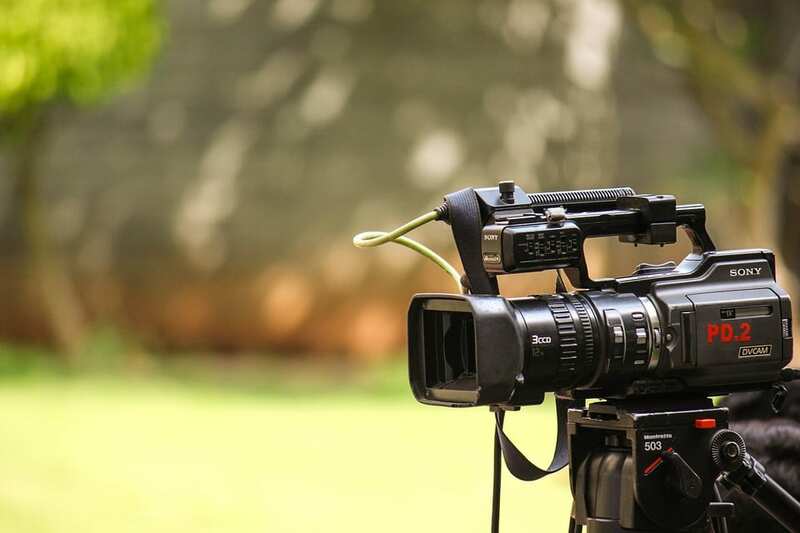 For many businesses, video is a new frontier. But there’s no denying how crucial video is for success with social media. Just look at these numbers as proof. 1 minute of video is equal to 1.8 million words! So, it’s obvious that people love video. But, video production can be costly and time consuming. You’re naturally wondering if it’s worth it. Absolutely, considering that 77% of people say watching a video has convinced them to buy a product or service. Engagement is already high on social media, and video is only going to boost it further. More engagement equals more leads, which is the direct route to those coveted conversions. Still worried about ROI because you’re no expert at video production? Don’t worry. There’s tons of ways to do video, including live video which is a natural fit for those with limited video experience. In fact, live video content is exploding, and is proving to be a great asset for building credibility and relatability for businesses of all sizes. The whole point of using social media is to expand your audience, and that’s accomplished through followers sharing your posts. For this to work, you need to produce content that’s deemed share-worthy. Content that touches your audience on an emotional level wins. Video can produce emotions in under 2 minutes, and that’s huge. Craft video that makes people laugh, cry, show happiness or excitement, and you’ve snagged the golden ticket to social media marketing success. There’s so much more that video can do for your social media marketing strategy. It’s a tool with limitless potential, and the piece that makes your marketing campaign complete. Contact Ola Moana Marketing today to discover more about the power of video. ⟵Is Social Media an Important Part of a Strong SEO Strategy in 2018?